Baby Sensory Parties are Magical! 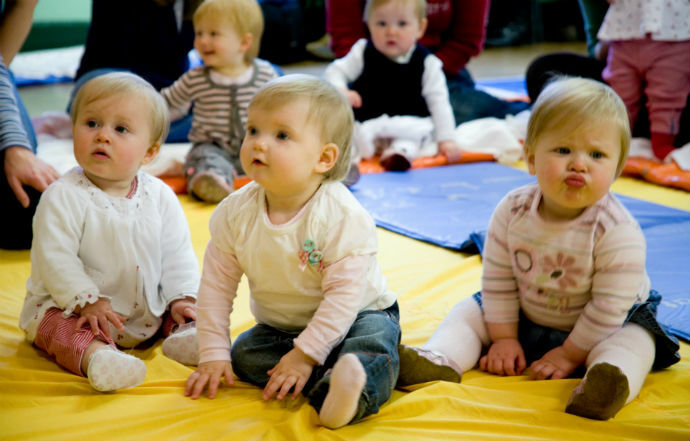 Book a christening party or celebrate your baby's first birthday with Baby Sensory! Baby Sensory parties are ideal for babies up to 13 months old. Our Baby Sensory parties are suitable for any occasion when you and your family and friends come together for a celebration. Whatever your event, we'll make it magical, mesmerising and memorable for you and your baby or child, and for your guests! To book your Baby Sensory party, please contact your nearest Class Leader. What happens at a Baby Sensory party? If you've experienced our award-winning Baby Sensory sessions then you'll know what's in store for you and your baby. If not, then your Class Leader will suggest the theme, activities and songs to suit the occasion and venue. 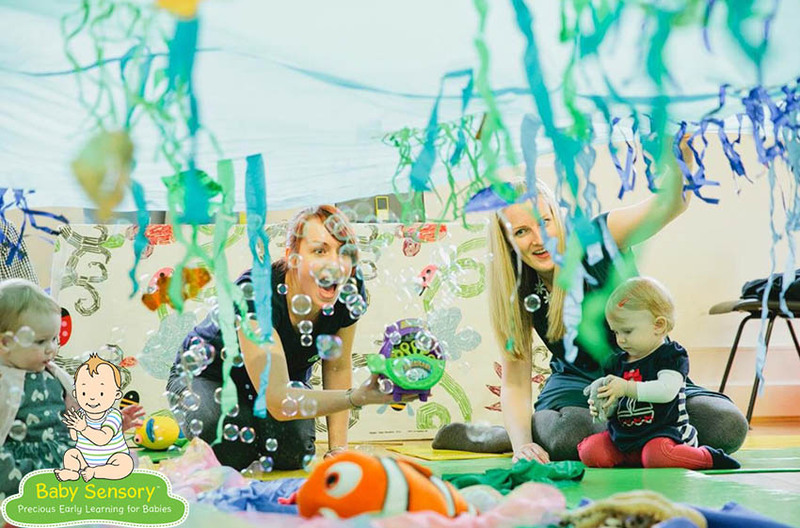 Whether you're planning a party for a small group of parents and babies at home or in an outside venue, you can be sure that we'll design the perfect Baby Sensory party! Take a look at our unique range of 'Say Hello' products and gifts on the Baby Sensory Shop (www.babysensoryshop.co.uk) or speak to your Class Leader about them when you book your party! "A BIG thank you ...everyone loved the Baby Sensory party and the time just flew by. The frog cloth was very funny and the jungle cloth at the end was great. We all had a fabulous time!" Bron, Gareth and Isla Rose. "I have been astounded by the amount of positive feedback relating to the Baby Sensory party - even from people without children! We all thoroughly enjoyed it!" Hanna. "Big thanks for your help at Bonnie's 1st birthday party. Everyone commented how brilliant the games and songs were." Lucy and Bonnie Maughan. "Thank you so much for a fantastic Toddler Sense party! All the preparation and activities made it a party to be remembered. So many of the Mums who came said how much they enjoyed it. Well done and a big thank you!" Sarah Taylor.